Long before Dr. Fingal Flahertie O'Reilly made most readers' acquaintance in Patrick Taylor's bestselling novel An Irish Country Doctor, he appeared in a series of humorous columns originally published in Stitches: The Journal of Medical Humour. These warm and wryly amusing vignettes provide an early glimpse at the redoubtable Dr. O'Reilly as he tends to the colourful and eccentric residents of Ballybucklebo, a cozy Ulster village nestled in the bygone years of the early sixties. 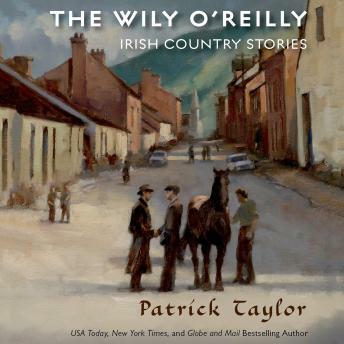 Those seminal columns have been collected in The Wily O'Reilly: Irish Country Stories. In this convenient volume, Patrick Taylor's legions of devoted fans can savor the enchanting origins of the Irish Country series . . . and newcomers to Ballybucklebo can meet O'Reilly for the very first time. An ex-Navy boxing champion, classical scholar, crypto-philanthropist, widower, and hard-working general practitioner, Fingal Flahertie O'Reilly is crafty and cantankerous in these charming slices of rural Irish life. Whether he's educating a naive man of the cloth in the facts of life, dealing with chronic hypochondriacs and malingerers, clashing with pigheaded colleagues, or raising a pint in the neighborhood pub, the wily O'Reilly knows a doctor's work is never done, even if some of his 'cures' can't be found in any medical text!